Have you ever taken advice from the wrong person and PAID for it big time? Haha, big lesson right? And have you ever taken advice from a proven successful person in the area you’re looking for results in, and save tons of time and money, since you didn’t have to go through the learning curve all by yourself? Another big lesson, wasn’t it? 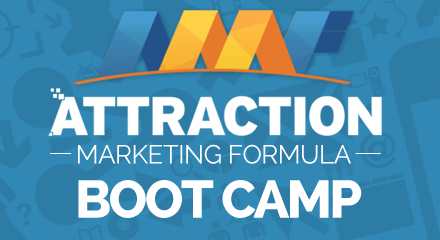 For a true shortcut, you can get the Attraction Marketing Boot Camp right HERE, so you can save yourself some serious headache!